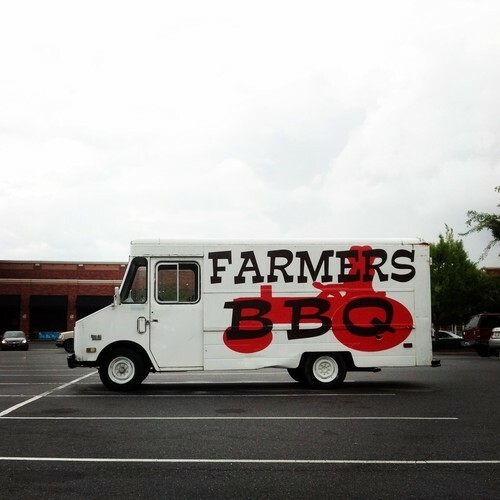 Farmer’s BBQ is located in a Highland Creek shopping center just north of the Charlotte University Research business park. Inside, the restaurant’s utilitarian guts is in stark contrast to its brick facade. With slightly-dated booths and tables on either side, you walk up to a counter to order and the food is brought to you shortly after. Yelpers have noted the restaurant’s “dinginess” in their reviews but I wasn’t bothered by the cleanliness (or lack thereof). Farmer’s does Lexington-style trays (in addition to other meats not tasted such as chopped chicken, brisket, and baby back ribs), so naturally this is what I ordered. While I was waiting I did see the owner/manager hand-chopping the pork and the food even came in a Lexington-style tray – both positive signs. 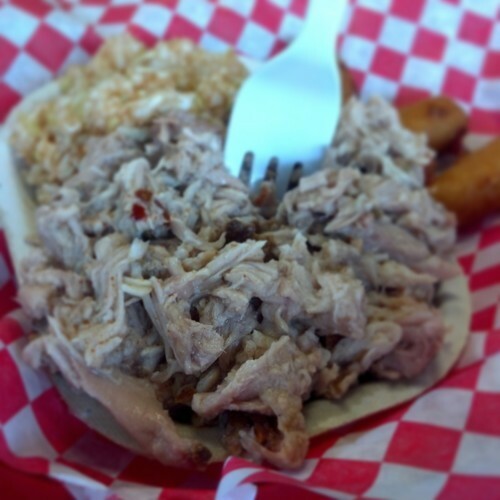 As for the pork itself, while it was moist and had a good texture it lacked smoke and was ultimately bland. I added some of the eastern NC vinegar sauce and while it was better in terms of flavor, the smoke was still missed. 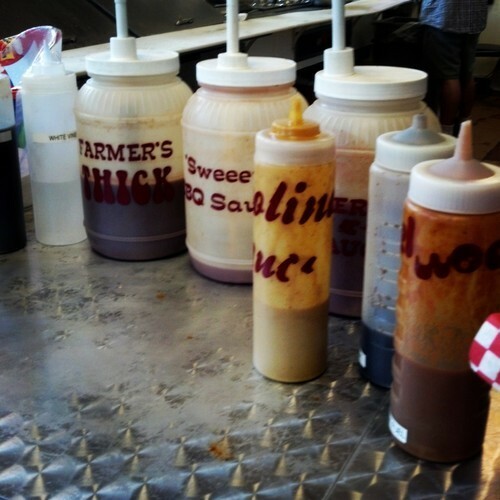 Curiously the eastern sauce was referred to as “dip,” a term reserved for Lexington-style table sauce, of which there was none. 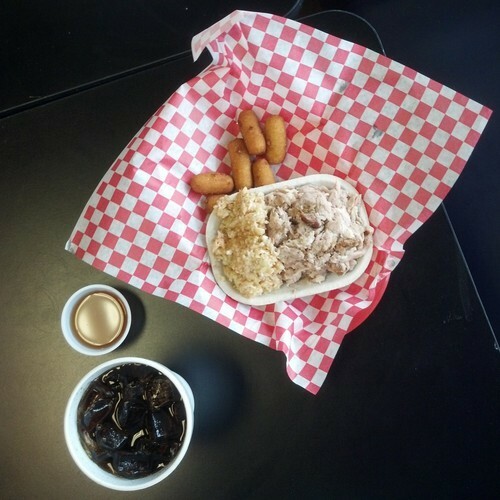 The red slaw was also slightly bland while the hush puppies were decent if unspectacular. At this point in our mission to taste and rank the best barbecue joints in Charlotte, I don’t expect to find anything that will shake up the top of the rankings too much. In any case, you never know when you might be surprised. 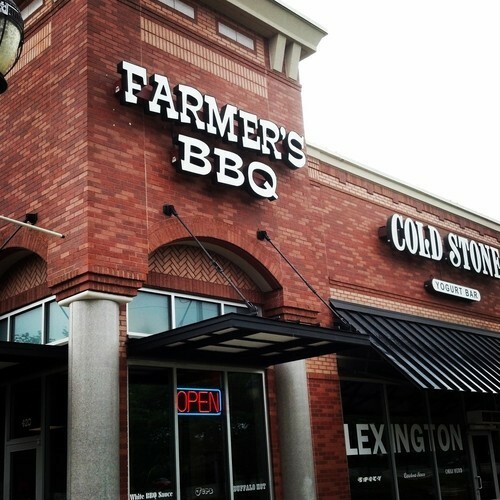 Unfortunately, that wasn’t the case with Farmer’s BBQ so you’ll have to go somewhere else if you are looking for great barbecue in Charlotte.